« A Top Tri Blog!?! I went to sleep last night knowing that my Nana wouldn’t be alive when I woke up this morning. She passed away about 7:30am. It wasn’t unexpected. She had fractured her leg about 5 weeks ago when she was moved to a new nursing home. Her diabetes was not as well controlled at the new home either. The reality is I lost her several years ago. Dementia ravished her brain. I bet an autopsy would find significant amyloid plaque build up in her brain. She’s been battling that beast for at least 6 years now. In many respects, death is a better solution then staying alive. In the last 13 months, I’ve lost my entire genetic giving tree on the Jastrzemski side of my family. First my Granddad last February. Then Mom on my birthday in July, and now one day short of 8 months later, my Nana. But in the big picture, I’ve been rather lucky. Not many 39 year olds can say that they still had 3 out of 4 grandparents alive. 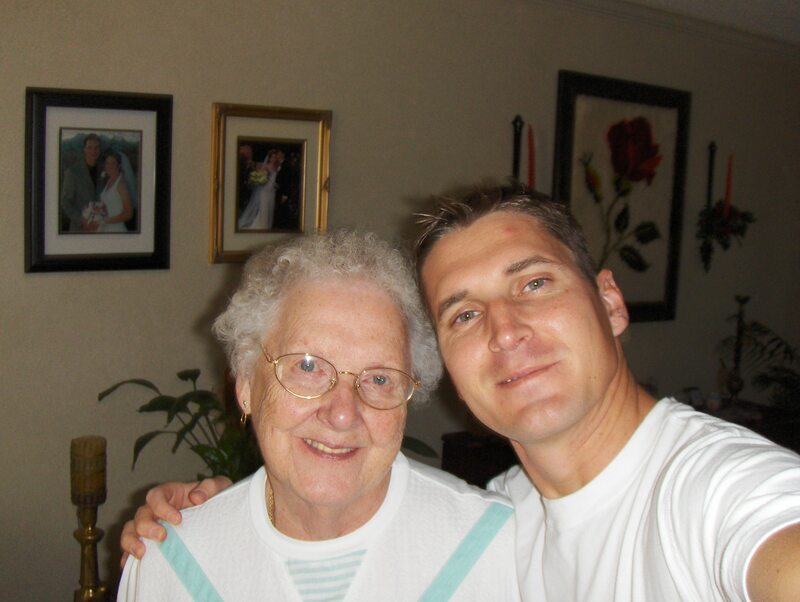 I got a lot of time with my grandparents, and at 40, while I’m down two, I’m still getting time with one of them. Most of the people I know my age, haven’t had that blessing. The majority of people had at most, two grandparents alive when they were 30. Goodbye Nana. Say hello to Granddad and Mom for me please. This entry was posted on March 21, 2012 at 7:53 am and is filed under Stuff with tags death, family tree, genetics, Grandparents, Nana. You can follow any responses to this entry through the RSS 2.0 feed. You can leave a response, or trackback from your own site. Brian, sorry to hear about your loss. My grandmother dealt with the same dementia issues and it can be a very hard thing to experience. I lost all my grandparents before I was 30, but my wife has 2 of hers left. Glad you are enjoying the time with them while you can. We’re very sorry to hear this mate…chin up, keep well. Very sorry to hear this mate…chin up, keep well. I can’t say I know you beyond your blog and online contributions elsewhere, but you have to deal with a lot of tough things recently. I hope things turn around for you. I’m sure it hasn’t been an easy year. So sorry. We have definitely had our knocks and then some this last yr. ((hugs to you my friend)). Drink or 2 in Vegas for sure before 2012 kisses are asses goodbye.